Francisco Partners announced the completion of the acquisition of Dell Software Group and the spin out of SonicWall as an independent company. SonicWall, known for its 25 years of innovation in the cyber security industry, protects more than a million customer networks worldwide. In conjunction with the creation of an independent SonicWall, the company named cyber security and networking veteran Bill Conner as its President and CEO. Conner previously served as CEO of Silent Circle and CEO of Entrust as well as President of Data Networks and then President of Enterprise Networks at Nortel Networks. This year, SonicWall has achieved several key milestones which include the number of new partners offering SonicWall’s solutions grew by 20 percent in the last year. It also include that for the eighth straight year, it is the North American market share leader in the small and midsized enterprise Internet Security Appliance market, it’s Capture Advanced Threat Prevention Service has analyzed more than four million suspicious files since the service’s launch in August. 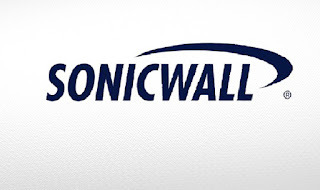 To continue its commitment to and investment in its channel partners, SonicWall also announced its SonicWall SecureFirst Partner Program, which introduces improved partner rewards, deal protection and expanded technical enablement on the SonicWall portfolio. Dell EMC will continue to resell SonicWall’s entire product portfolio as it has done since before the acquisition by Dell.